The Wii Remote got plenty of attention among Roboticists to improve Human-Robot-Interfaces and to lower anxiety for complex machines. WiiDrive is a Wii Mote Control application to enable anybody to move the Leonardo Robot, without typing complex commands at the keyboard (see Video). Martin Wojtczyk. 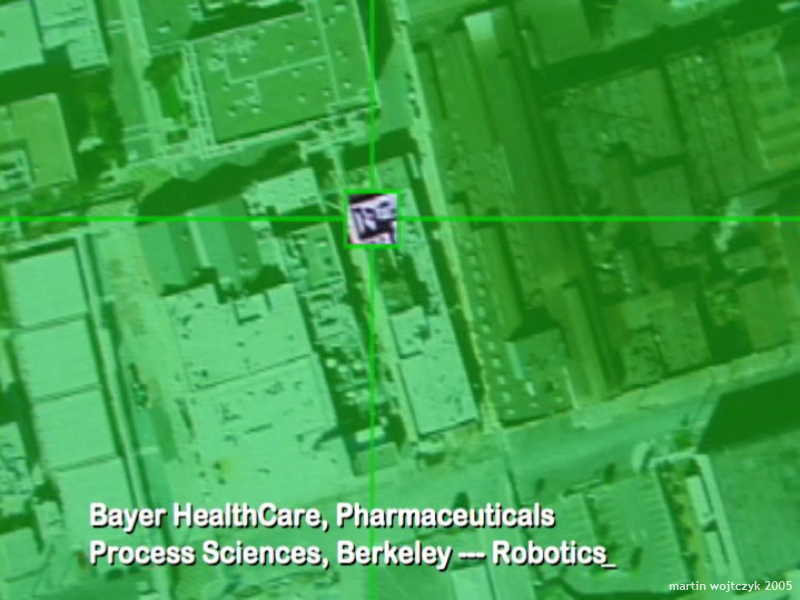 A New Model To Design Software Architectures For Mobile Service Robots. Dissertation, Technische Universität München, München, Germany, December 2010. Martin Wojtczyk, Rüdiger Heidemann, Chetan Goudar, and Alois Knoll. Parallel computing for autonomous mobile robots. In Intel Developer Forum 2010, San Francisco, USA, September 2010. Martin Wojtczyk, Rüdiger Heidemann, Chetan Goudar, and Alois Knoll. Monitoring bioreactors in a cell culture development laboratory with an autonomous mobile manipulator. In Cell Culture Engineering XII, Banff, Alberta, Canada, April 2010. Martin Wojtczyk, Rüdiger Heidemann, Chetan Goudar, and Alois Knoll. 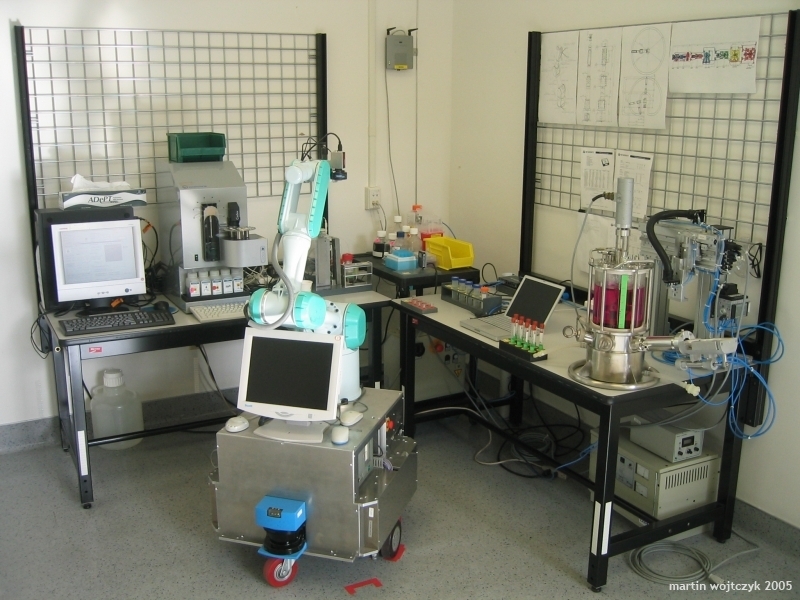 Bioreactor monitoring in a cell culture development laboratory with an autonomous mobile manipulator. In 239th American Chemical Society National Meeting & Exposition, San Francisco, USA, March 2010. Martin Wojtczyk, Giorgio Panin, Thorsten Röder, Claus Lenz, Suraj Nair, Rüdiger Heidemann, Chetan Goudar, and Alois Knoll. Teaching and implementing autonomous robotic lab walkthroughs in a biotech laboratory through model-based visual tracking. In IS&T / SPIE Electronic Imaging, Intelligent Robots and Computer Vision XXVII: Algorithms and Techniques: Autonomous Robotic Systems and Applications, San Jose, CA, USA, January 2010. Martin Wojtczyk, Rüdiger Heidemann, Chetan Goudar, and Alois Knoll. 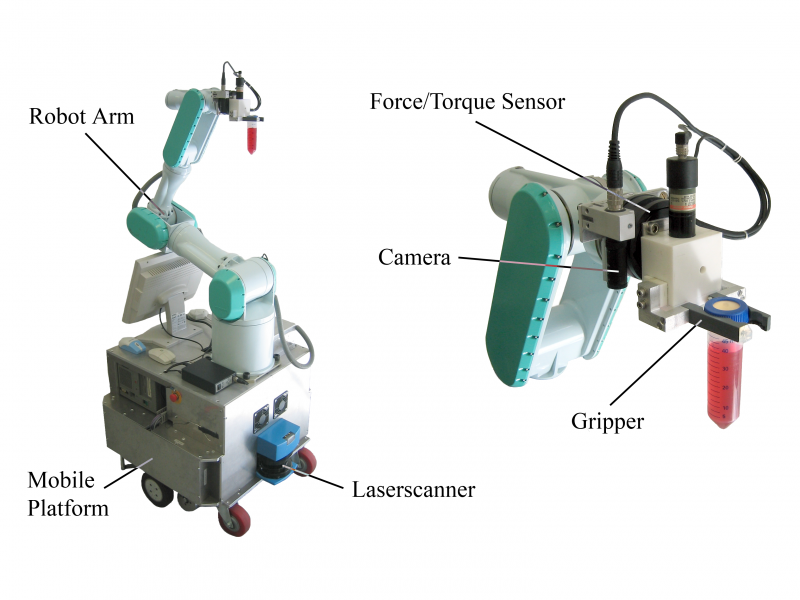 Task and data parallelism in robotics for autonomous mobile manipulators. In Intel Developer Forum 2009, San Francisco, USA, September 2009. Martin Wojtczyk, Giorgio Panin, Claus Lenz, Thorsten Röder, Suraj Nair, Erwin Roth, Rüdiger Heidemann, Klaus Joeris, Chun Zhang, Mark Burnett, Tom Monica, and Alois Knoll. 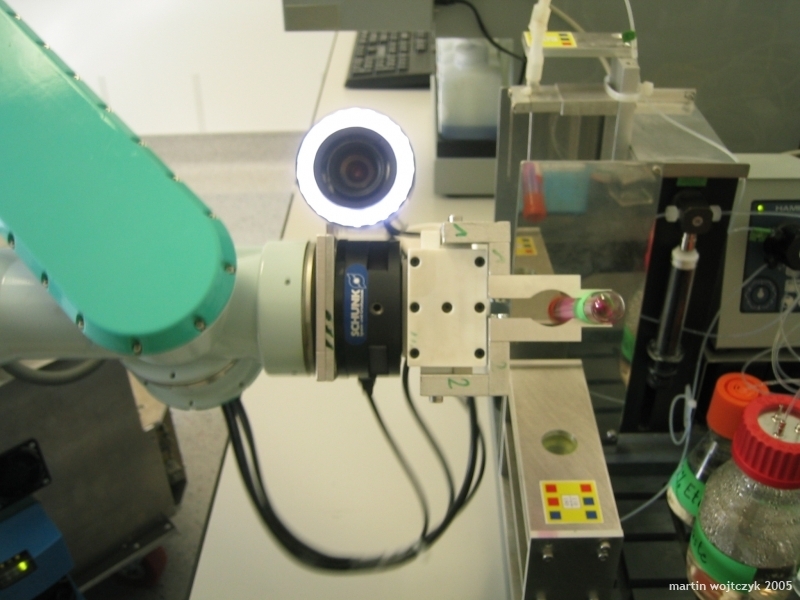 A vision based human robot interface for robotic walkthroughs in a biotech laboratory. In François Michaud, Matthias Scheutz, Pamela Hinds, and Brian Scassellati, editors, HRI ’09: Proceedings of the 4th ACM/IEEE international conference on Human Robot Interaction, pages 309-310, La Jolla, CA, USA, March 2009. ACM. Martin Wojtczyk and Alois Knoll. Utilization of a mobile manipulator for automating the complete sample management in a biotech laboratory. a real world application for service robotics. In Proceedings of The Sixth International Symposium on Mechatronics & its Applications ISMA09, American University of Sharjah, Sharjah, United Arab Emirates, March 2009. IEEE. Martin Wojtczyk, Rüdiger Heidemann, Klaus Joeris, Chun Zhang, Mark Burnett, Tom Monica, and Alois Knoll. 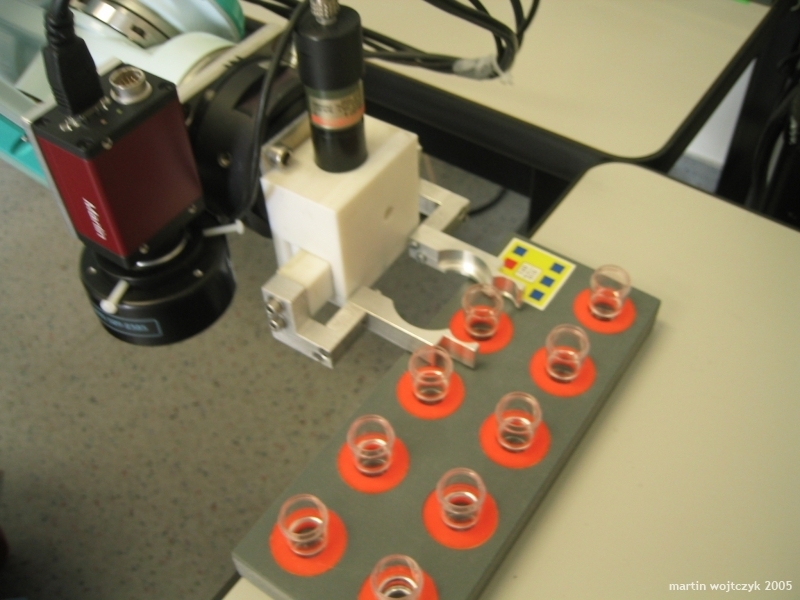 Automating the complete sample management in a biotech laboratory with a mobile manipulator. a real world application for service robotics. In Leon Trilling, D. Perkins, Dionysios (Dion) D. Dionysiou, Leonid Perlovsky, Kent Davey, David Landgrebe, Miguel A. Marino, D. L. Russell, Steven H. Collicott, Marco Ceccarelli, and John W. Lund, editors, Proceedings of the 8th WSEAS International Conference on SIGNAL PROCESSING, ROBOTICS and AUTOMATION, pages 347-356, Cambridge, UK, February 2009. World Scientific and Engineering Academy and Society, WSEAS Press. Martin Wojtczyk, Michael Marszalek, Rüdiger Heidemann, Klaus Joeris, Chun Zhang, Mark Burnett, Tom Monica, and Alois Knoll. 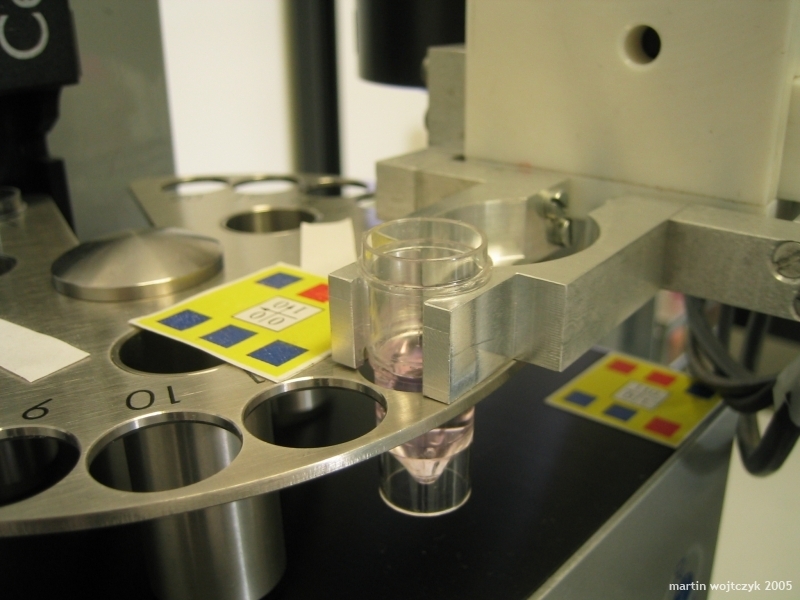 Automation of the complete sample management in a biotech laboratory. In Samson Abramsky, Erol Gelenbe, and Vladimiro Sassone, editors, Proceedings of Visions of Computer Science, BCS International Academic Conference, pages 87-97, Imperial College, London, UK, September 2008. The British Computer Society. Martin Wojtczyk, Simon Barner, Michael Geisinger, and Alois Knoll. Rapid Prototyping of an Adaptive Light-source for Mobile Manipulators with EasyKit and EasyLab. In SPIE Optics and Photonics 2008, Illumination Engineering, Eighth International Conference on Solid State Lighting: Applications, San Diego, CA, USA, August 2008. Martin Wojtczyk, Rüdiger Heidemann, Klaus Joeris, Chun Zhang, Mark Burnett, Alois Knoll, and Konstantin Konstantinov. The Use of a Mobile Robot for Complete Sample Management in a Cell Culture Pilot Plant. In Rodney Smith, editor, Cell Technology for Cell Products, Proceedings of the 19th ESACT Meeting, Harrogate, UK, June 5-8, 2005, pages 543-547. Springer Netherlands, 2007. Martin Wojtczyk and Rüdiger Heidemann. Status report: Installation and modification of a mobile robot platform to perform a complete automated sample management process. Bayer internal report, Bayer HealthCare Pharmaceuticals, May 2006.